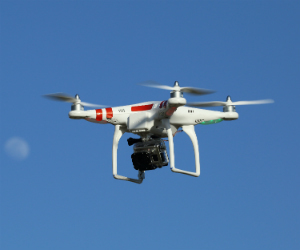 Drone operators in the US have been warned that knowingly violating the stringent Federal Aviation Administration (FAA) regulations could result in their insurance policies being invalidated. In recent months it has emerged that commercial drone usage is highly regulated by the FAA, to the point of being prohibitively expensive. The FAA defines “commercial” broadly, as including receiving anything of value in return for operating the drone. In this case, the drone is required to be flown by an operator with an FAA pilot’s license, and following a recent announcement by the US Department of Transportation, purchasers of drones will have to register the devices with the federal government. As a result, it’s no surprise that many commercial drone operations in the United States are performed in violation of FAA regulations, according to Jordan Walbesser, attorney at Hodgson Russ. There are significant risks to violating FAA regulations and the regulator can issue fines of up to $10,000 for unauthorized commercial drone usage. Historically, though, the FAA issues warning letters, except for situations where the drone was operated recklessly, but the authority is watching drone usage closely. “It’s likely that an insurance carrier would deny claims related to such an unauthorized use,” said Walbesser, who added that it may be advantageous for insurers' clients to hire a US company that specializes in commercial drone operations instead of taking on the risk themselves. Drone use in Canada is less restricted. To fly a drone for work users need to follow strict safety conditions outlined in an exemption or apply for permission from Transport Canada if the drone weighs more than 2kg. Commercial drone operators can fly a drone up to 25kg without permission from Transport Canada if the operator has at least $100,000 in liability insurance. Operating a drone weighing 25kg or more requires a special flight operations certificate before use. And a Canadian commercial drone operator cannot fly south of the border without applying for a US pilot’s license. Walbesser said commercial drone operators on both sides of the border should keep abreast of regulatory changes as Canada and the United States each have recently proposed updated rules for commercial drone operation, with more changes expected to come.